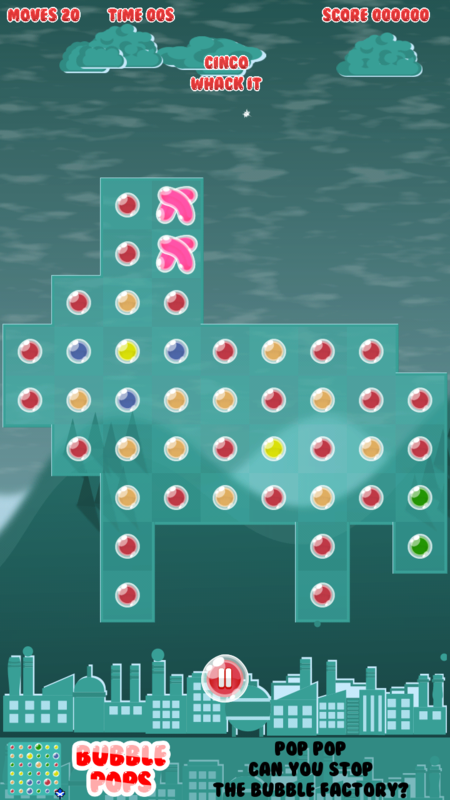 MapleScot Development has released another wildly addictive puzzle game for Android. Bubble Pops is simple and fun in both appearance and game-play but presents ever-increasing challenges to keep players engaged. 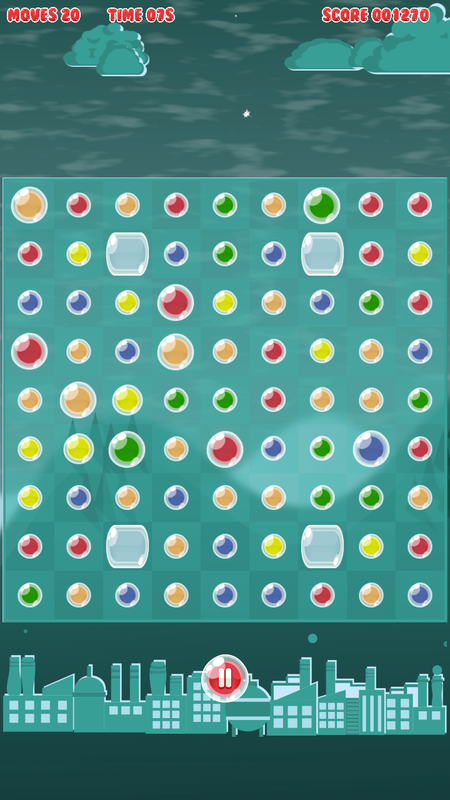 The game is a match-three style puzzle where the objective is simply to make matches of 3 or more of the same coloured bubbles in a line horizontally or vertically. 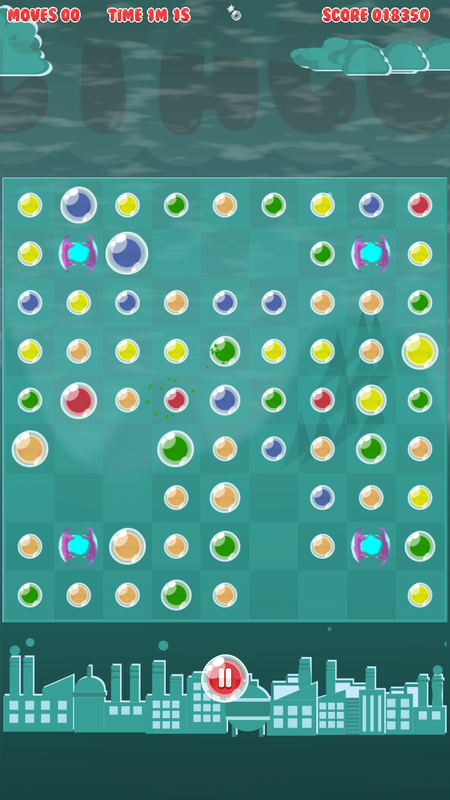 When bubbles are matched up the merge and grow bigger and bigger until they burst in a shower of fragments. 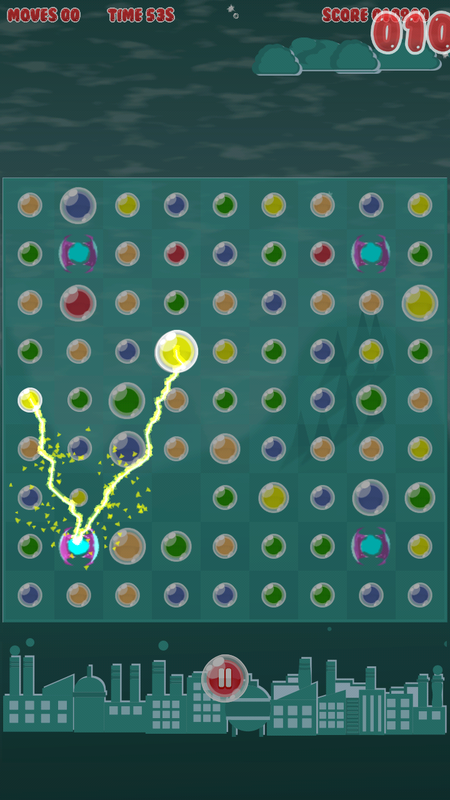 The fragments can then join with other bubbles and cause chain reactions. Each level presents new challenges with the introduction of time limits or special collections to achieve. 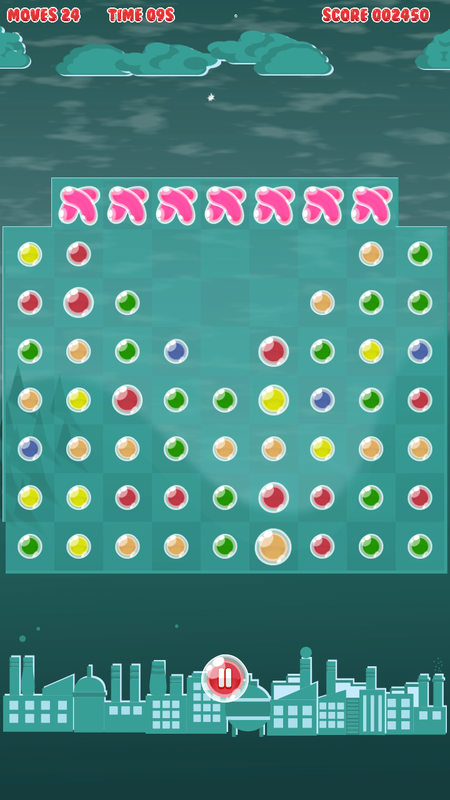 Levels include features such as breakable and unbreakable walls and warps which teleport the falling bubbles. 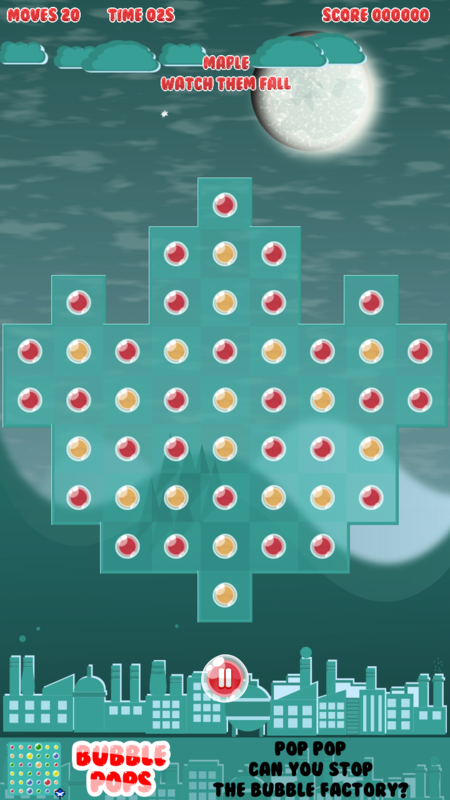 Player performance on each level is rated on a 3-star scale. One star is required to unlock then next level, but the greatest and most exciting challenge is to get 3 stars on all levels. 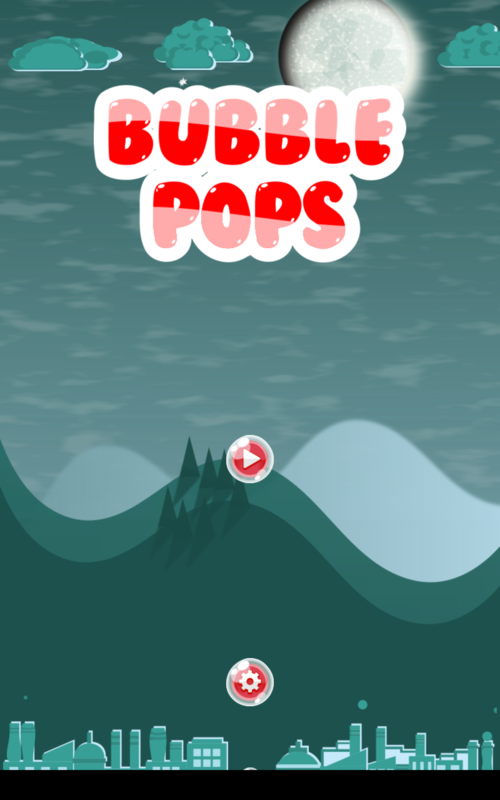 Bubble Pops is the fifth Android game to be released by MapleScot development. It started as a simple experimental concept that rapidly developed into a complete and entertaining game. We would have released it sooner but we spent so much time addicted to playing it while it was still under development that it took us forever to finish it off. 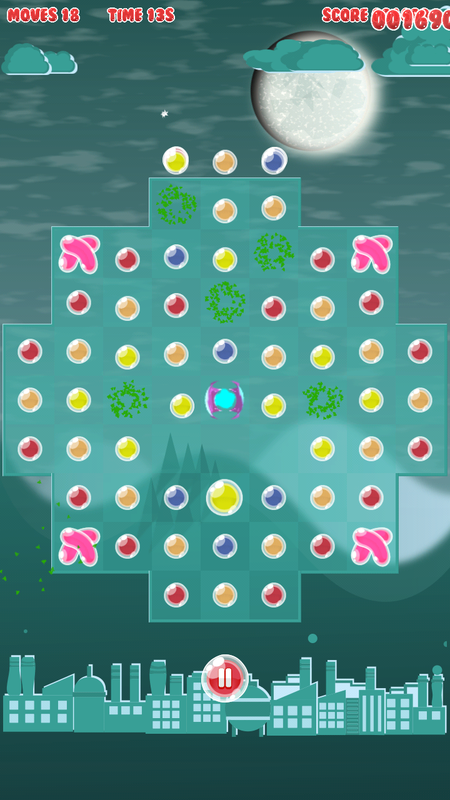 Bubble Pops compliments Prismatoids in our line of easy to play puzzle games for Android. "Digital Lemonade" by Kevin MacLeod incompetech.com. 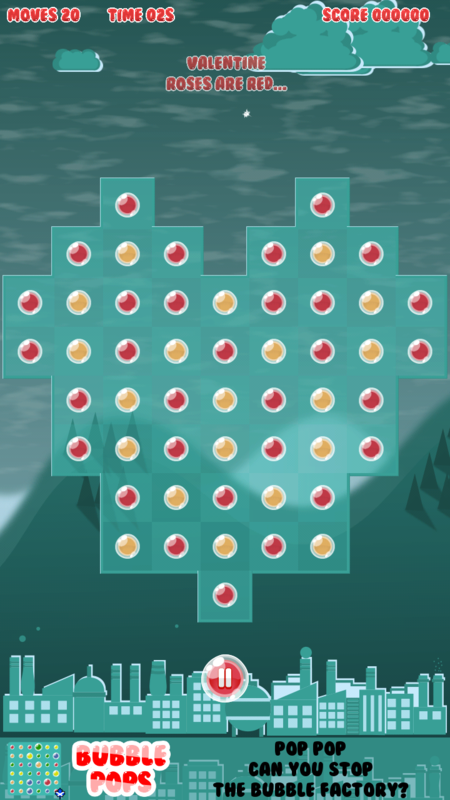 The blog-post through which this game was released is available at maple.scot. MapleScot development is a small team of independent mobile game developers based in London with a passion for bringing great mobile games to the world. More information on MapleScot Development, our logo & relevant media are available here.